Your objective is to remove the ring from the structure. Our objective is to remove any thought of accomplishing this from your mind! 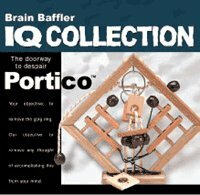 With two enigmas to be solved, Portico takes you to the doorway of despair! 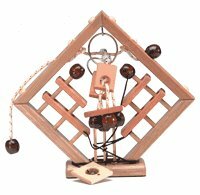 Includes 1 wooden puzzle (no instructions).